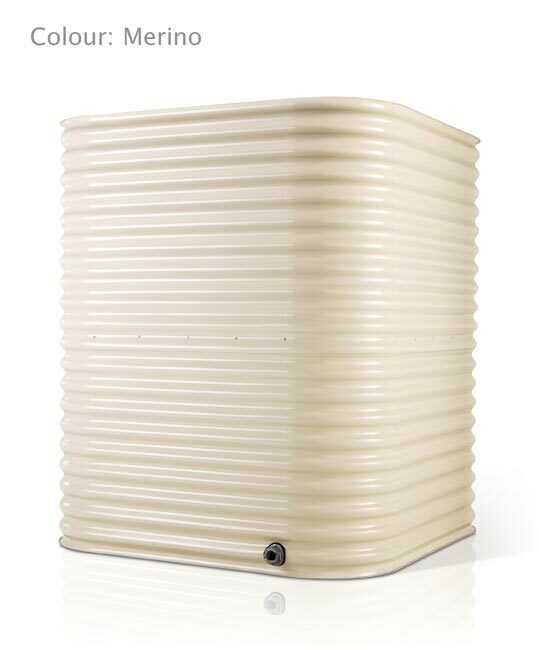 Function combines with style and character in the Aqua-Barrel Water Tank. 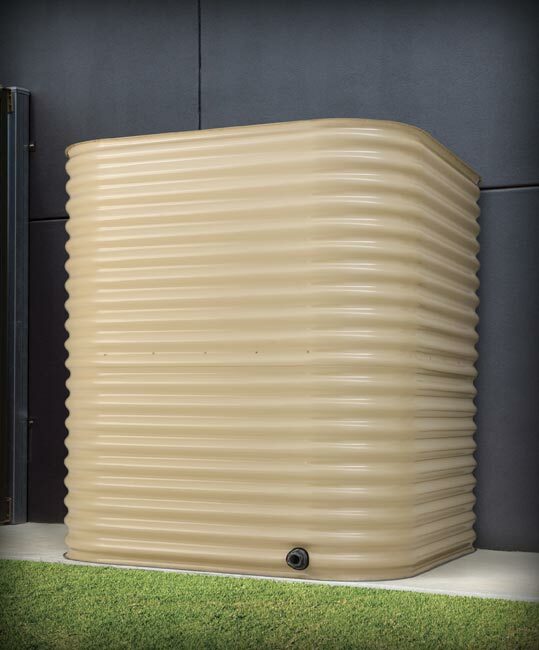 Aqua-Barrel Tanks utilise modern Aquaplate steel for clean, healthy rainwater. They feature stylish rounded curves and have the timeless appeal of a corrugated finish. Western Australia stocks two capacities of 1000 and 2000 litres. Queensland stocks two capacities of 3000 and 5000 litres. Refer to the ‘Dimensions’ tab for state availability details. 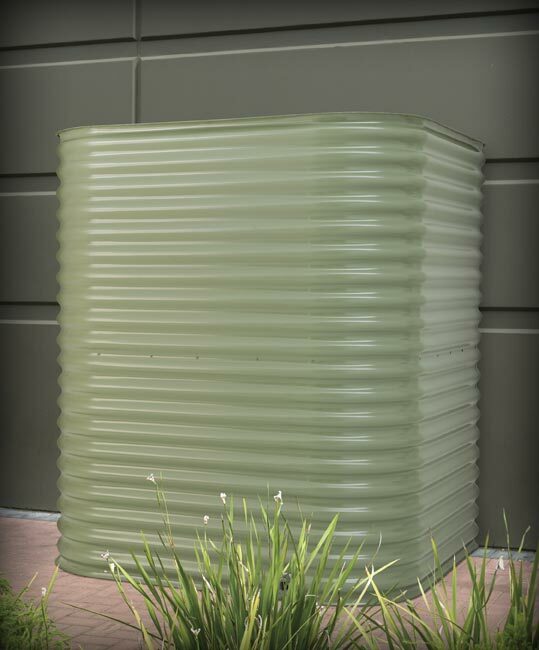 Aqua-Barrel tanks feature external bracing for added strength and impact resistance. All tanks are supplied with a 3/4″ outlet and tap. Fitted with a 300mm diameter mosquito proof inlet which doubles as an inspection point. Made from safe, high quality Aquaplate steel. 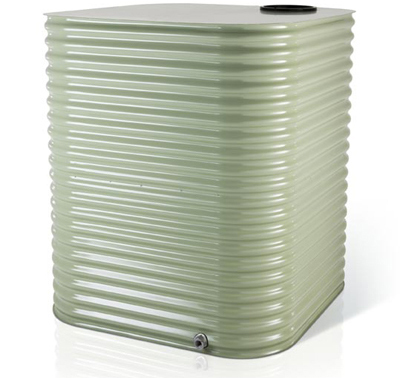 The 1000 and 2000 litre tanks have a slim width that is ideal for fitting under eaves. Optional extras include a different sized outlet and a heavy-duty tank stand. The stands are 450mm high, engineered for strength and made from galvanised steel. The tank stands have rounded ends to match the tank. Adjustable feet kits are available with your stand to provide a stable footing on uneven ground. *50x50mm tubular steel external bracing is used, which makes the actual total width of the tank an extra 100mm. 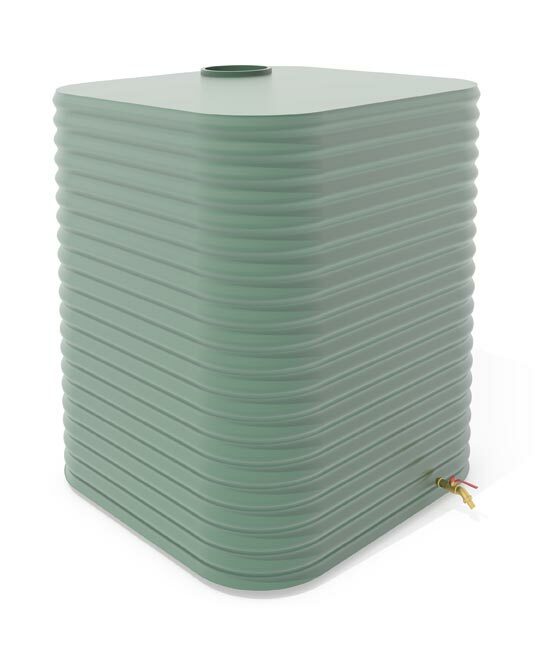 Heavy-duty tank Aqua-Barrel tank stands are 450mm high, engineered for strength and made from galvanised steel. The tank stands have rounded ends to match the tank. Adjustable feet kits are available with your stand to provide a stable footing on uneven ground. Pressure switch, pump installation kit. Automatic low level top up system.